SRC’s reputation for quality, gold-standard data stretches back to our inception in 1933 – and we have a proprietary database of historical fundamental data that no other company has. SRC’s research services are designed for how you want them and in the format you works best for you – including print, PDF and online delivery. For more information – or assistance creating the best combination of services for your specific needs – please don’t hesitate to contact us. A trusted resource for both professional and individual investors since 1933. Perfect for your own research or a useful tool to providing independent research for your clients. 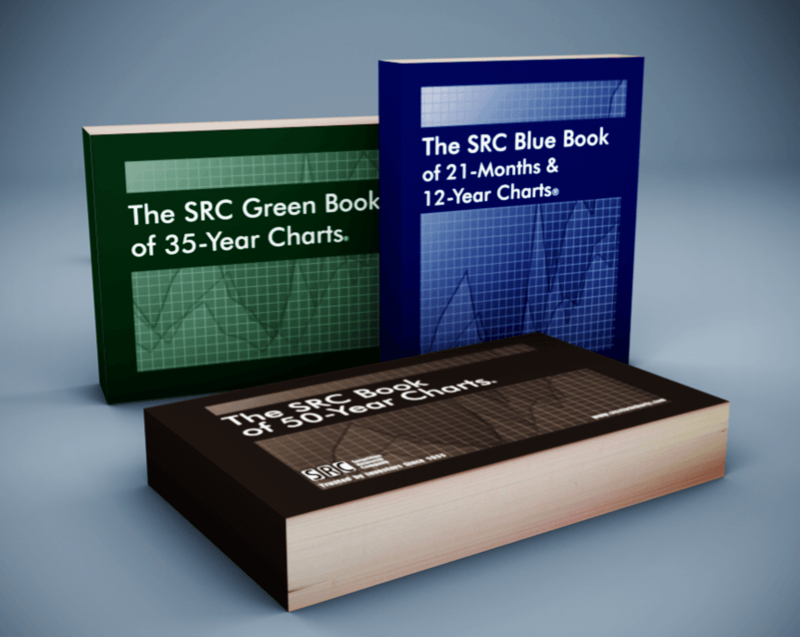 SRC’s Chart Books span 21-Months to 50-Years. SRC delivers a unique perspective on market data. Over the long-term, stock price growth tends to track earnings growth. SRC is the only service that shows annualized, long-term earnings and price growth in a box at the top of the chart. Fundamentals are graphed in a way that technicians can understand, and fundamental analysts get technicals that make sense. It’s all in one and SRC Charts are perfect! Michael J. Carr, CMT, noted financial markets author, editor of the Market Technicians Association (MTA) Technically Speaking and the Journal of Technical Analysis. Relied upon by investors for its search and filtering capabilities; breadth and depth of historical stock data; and its crystal clear, full-color presentation. 2019 Economic & Stock Market Wall Charts are an Encyclopedia At-A-Glance! 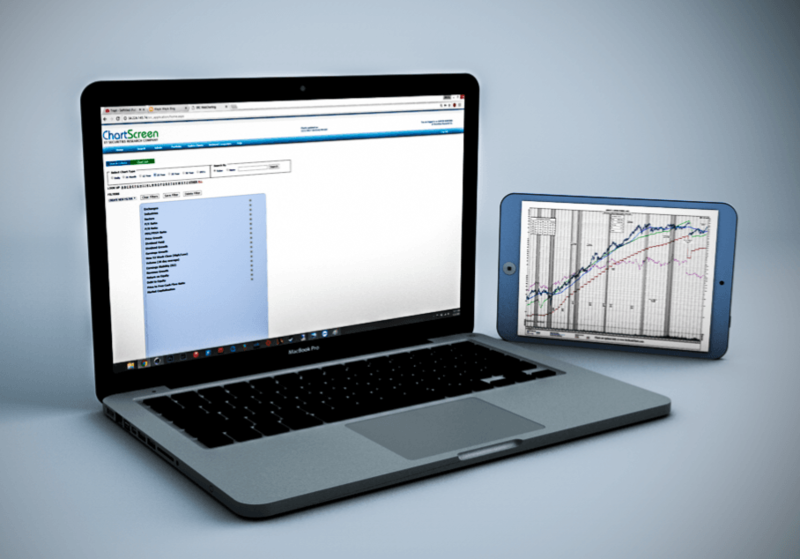 Economy Charts are the most useful and accurate stock market, interest rate and economic indicator charts available, and are the perfect way to see long-term trends, cycles, and patterns in large, graphical poster formats – indispensable tool for board rooms, offices, meetings and the classroom. I purchase a lot of items online and this was by far the best experience I have ever had with any company, ever. The product looks exceptional, our company logo looks awesome, and your service and response was fast and extremely efficient. We will be purchasing an Economy Chart from your company every year for years to come. Thanks again!